You scrape the metal beneath your shoes as you position your feet properly on the fencing piste. You adjust your grip on your weapon and hold it up at your opponent. Finally, you look up to face your opponent, and stare into his eyes through the grids of both your masks. You hear the first 2 words from the referee’s mouth, meaning “on your guard” in French. Immediately, you feel an uneasy sensation in your lower back – that’s adrenaline pumping throughout your blood. Your heart palpitates uncontrollably, and you feel an immense surge of energy. Your body, your weapon – everything suddenly feels so light as your muscles prepare to spring into action. This is what fencers may call “the high”. You crave this hormonal surge, this energy and power, this “super-saiyan”-like feeling every time you fence. It’s a pleasurable experience – one that makes you addicted to sparring with an opponent. It’s something all fencers look forward to at every training. It’s what makes fencing so fun, enriching and enjoyable. 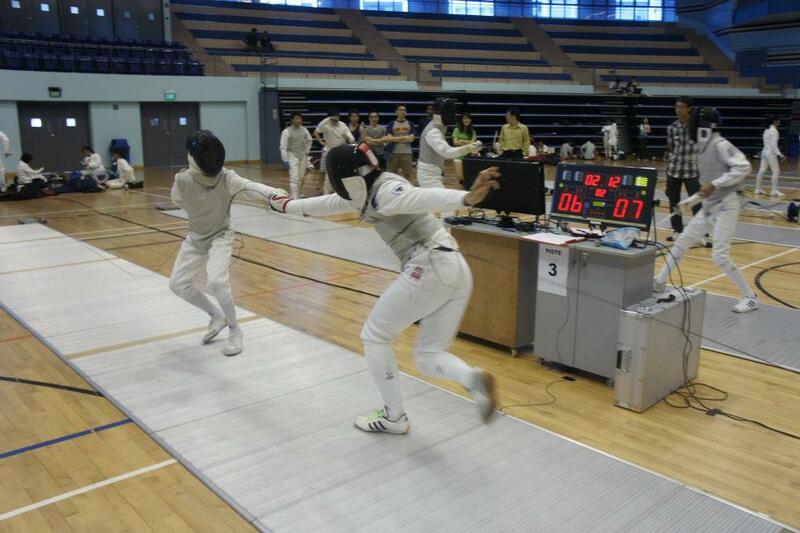 Fencing is more than just entertainment; it’s our drug, but one you will not regret trying. That’s French for “ready?”, as the referee ensures that the fencers are ready to fence. You think back to all your training sessions – the time and effort you devoted to this cause every Tuesday and Thursday from 4.30 to 7.00 pm. You recall the hours you’ve spent on exercises, drills, footwork, bladework… They’ve certainly paid off, enabling you to attain this level of competitive proficiency. It’s time to put your skills into practice. All the techniques and tactics imparted by your coach resurface in your mind, as you prepare to execute them against your opponent. You get ready to strike. That means “go!” You and your opponent burst forward at each other, struggling for the chance to score. You feint an attack, successfully misleading your opponent before striking him on his exposed side. That feeling of satisfaction overwhelms you as you feel the contact of your blade against your opponent. That secured your last, critical point, and you win the bout. You let out a cry of victory amidst cheers from your team mates who watched anxiously by your side. 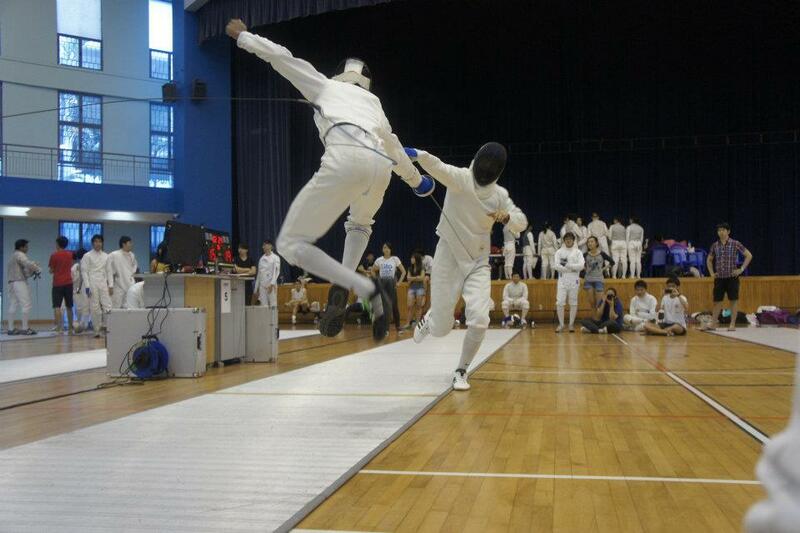 These are what you experience as a fencer during the Inter-schools Fencing Championships in April. 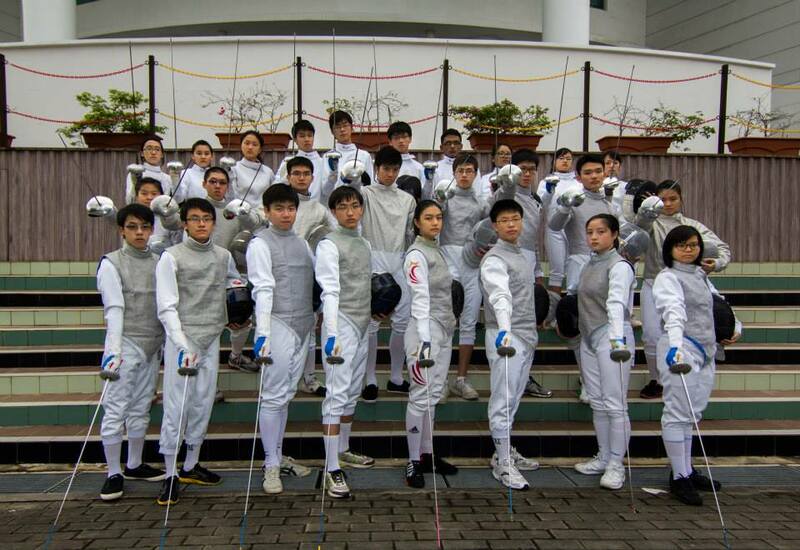 Fencers gear up for this significant competition throughout their journey in Raffles Fencing. Besides Inter-schools, all fencers enjoy the opportunity to gain valuable competitive experience by representing the school in numerous other fencing competitions. They include the Novices Championships, U-17, U-20 and Open competitions, as well as Fencing Invitationals by other schools, including our own Raffles Invites we organise every December. How would it be like to pick up cool new skills and clash swords with an opponent? How would it be like to enjoy that “high” all fencers crave? How would it be like to experience the thrill and satisfaction of scoring a point against your opponent? It won’t be easy, but if you’re keen to find out, don’t hesitate to pick Fencing as your CCA. It will surely be the highlight of your 2 years here in RI!